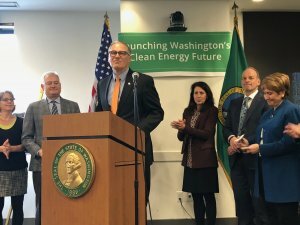 Despite the obstacles standing in the way of climate legislation, Kyle Murphy, Executive Director of Carbon Washington, says there will be a 2018 climate initiative. According to a legislation prospect analysis from Carbon Washington, the landscape to pass climate legislation will be tougher this year than it was in 2017. 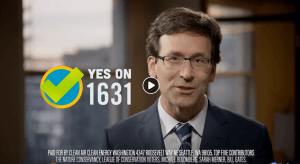 The property tax increase last year will likely hamper the willingness of legislators to come back to the table with another potential tax increase, and trying to find a compromise on revenue continues to divide those who wish to see climate legislation pass. Murphy points to three conversations going on right now that might point to where this initiative could come from. 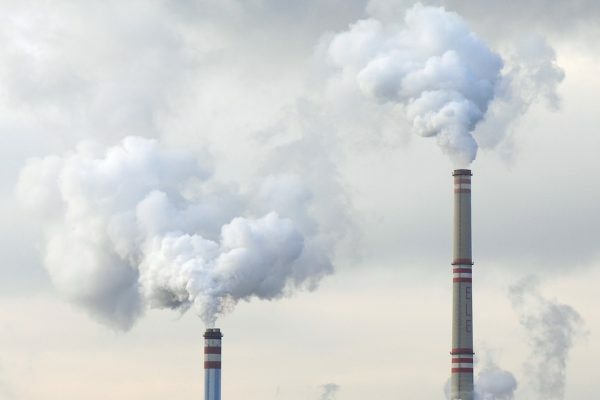 The Alliance for Jobs and Clean Energy has put out a policy proposal that would put a price on carbon and fossil fuels. The Alliance’s website says the policy would generate $1 billion per year which would be put back into investing in wind and solar projects, forestry, and providing job training and financial assistance to workers affected by the transition to a clean energy economy. Leaders of the Quinault Indian Nation recently announced that they, along with a coalition of other Washington Tribes, would likely propose their own carbon tax initiative in 2018. A letter sent by The Business Committee of the Quinault Indian Nation in September, called out the Alliance proposal for not being strong enough. Then, Murphy says, there are other organizations, like Carbon Washington, that may bring forth initiatives. Murphy also points out that while initiative conversations are centered around carbon tax, climate legislation isn’t about just one topic. There are several other actions that the climate movement has talked about fighting for.